Things You’re Afraid to Ask Your Boss! Still not sure what LYBUNTs and SYBUNTs are? No idea where to start with networking outside your organization? Need advice on how to work with a particular volunteer? Join us for a casual breakfast conversation, featuring the opportunity to ask any question you may be afraid to ask your boss! 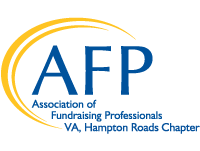 Hear from local fundraising experts who can provide practical advice and best practices that you can use every day. Geared towards new and intermediate professionals, but open to all! Send any questions you want to ask anonymously to aweinstein@egglestonservices.org by Thursday, January 24th.